You are here: Home / Podcast Episodes / Happy Memorial Day! 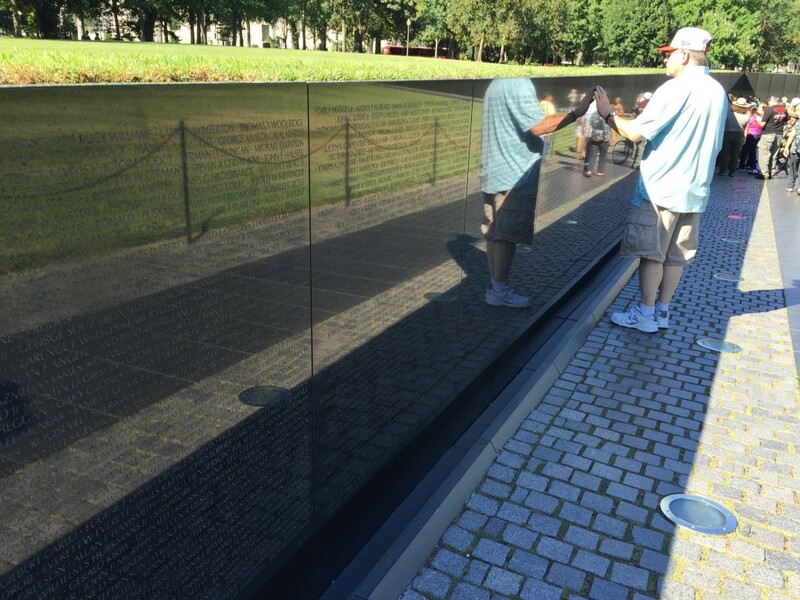 This is my dad at the Vietnam Memorial in Washington D.C. This is one of those holidays that I always think of fondly because (a) it’s the unofficial start of summer and I usually smoke some sort of meat, (b) my grandmother traces the widespread adoption of this holiday to our family (naturally!) so why not enjoy it, and finally, (c) it’s a perfect time to reflect on those who gave their lives for all that the United States represents. 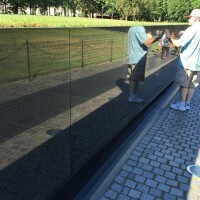 Today on Halfway There, I share some reflections on my father-in-law who also gave his life in a roundabout way for the cause of freedom. This is a blog post that I wrote about him on an old blog I used to write. Perhaps you’d like to share a story about someone you know who has sacrificed for their country, too. Feel free to do that here or on social media.